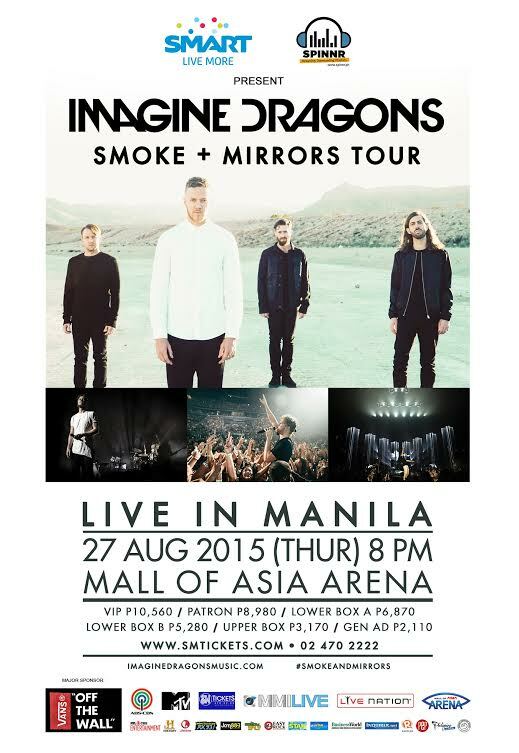 From Las Vegas to Manila, the four-piece band, Imagine Dragons will bring their Smoke + Mirros Tour on August 27, 2015 at the Mall of Asia! The event is brought to us by Music Management Inc #MMILive. 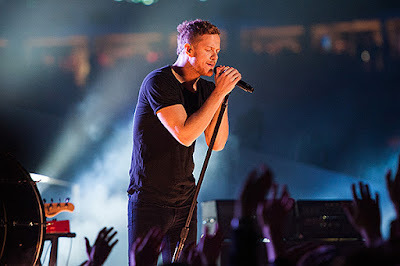 After the successful run of their debut Night Visions—filled with anthems like “On Top of the World”, “Demons” and Grammy Award-winning single “Radioactive” -- Imagine Dragons spent nearly two years bringing their passionately inventive brand of alt-rock to arenas around the world. With more than 130 headline dates and 50 festivals across the globe, the Las Vegas-based quartet threw themselves into creating material for their second album Smoke + Mirrors, which marks the first release recorded in their new self-built home studio. I still see some available seats for the concert! Check out #MMILive, SM Tickets (www.smtickets.com), or call (+632) 470-2222 for the latest ticket infomration.